The Health and Wellbeing focus group in its entirety is concerned with the promotion of human health, supporting healthy aging, and the prevention and control of non-communicable diseases. It encompasses a multitude of public and occupational health-related initiatives, such as physical and mental health functioning, rehabilitation, new technology in health promotion, new competences in social and healthcare sector, physical therapy, physical activity and health, social determinants of health, aging and health, and falls/accident prevention. 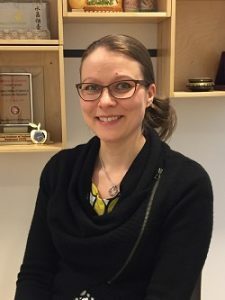 Because 3UAS is the largest educator of health care professionals in Finland, the R&D collaboration possesses multi-disciplinary expertise, is strong in its applied research and development abilities related to public and occupational health, and has access to a wide network of relevant collaborators. In addition, business, entrepreneurship, and other expertise areas link to the health and wellbeing initiatives when needed. Given these key strengths, the Health and Wellbeing focus group within the 3UAS R&D Excellence is poised to be an integral player in shaping the role of public health. Minna Mänty is the 3UAS R&D Excellence point of contact for the Health and Wellbeing focus group. 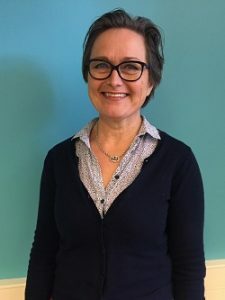 She is a principal lecturer in the Research, Development, and Innovation (RDI) unit and in the Holistic Health and Wellbeing research group at Laurea University of Applied Sciences. She holds a Ph.D. in Health Sciences from the University of Jyväskylä. Areas of concentration within the Health Technology focus group are the development of regulated healthcare technology for personal and professional use, physiological measurement technology, and creating software solutions and applications that improve both the operational practice of medicine and preventative health measures. Leveraging the strengths of 3UAS collaboration yields successful results for the health technology industry due to a noted recent increase in the public acceptance of medical technology. By combining R&D engineering and prototyping expertise, service design and business development acumen, and wealth of knowledge and practical experience in the field of medicine, rapid progress is met by the immediate technological needs of the medical community. 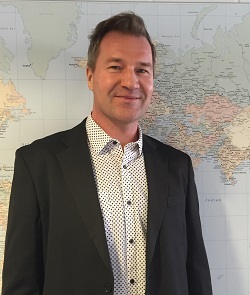 Mikael Soini is the 3UAS R&D Excellence point of contact for the Health Technology focus group. 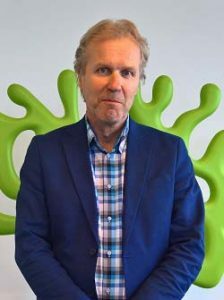 He is a principal lecturer in IT program Health Technology at Metropolia University of Applied Sciences and holds a Doctor of Science in Electrical Engineering from Tampere University of Technology. The Rehabilitation focus group concentrates on using multi-disciplinary and user-involved methods that concern not only societal reintegration but also actions encouraging an inclusive society in which everyone is able to participate, including children, youth and the elderly. All aspects of this important work are centered on providing the opportunities for all citizens to have a good life, in as many circumstances as such a worthy goal encompasses. For example, an upcoming project involves creating smart sheltered housing and incorporates the use of digitalization to increase staff efficiency and to make available human resources, focusing more closely on client needs. 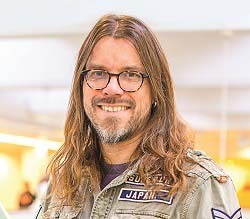 3UAS rehabilitation experts also focus on innovative ways to reduce existing costs and to discover more economically viable solutions, using smart technologies that can assist, in the growing civic concern on the lack of resources, to maintain the same quality of care for a growing population of elderly Finnish citizens. Toini Harra is the 3UAS R&D Excellence point of contact for the Rehabilitation focus area. 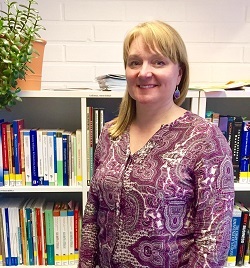 She is a principal lecturer at Metropolia University of Applied Sciences and holds a Ph.D. of Social Sciences in Rehabilitation from the University of Lapland. Social Responsibility can be understood as the commitment or obligation of an organization’s management towards the welfare and interests of the society in which it operates. Social responsibility is essential in R&D projects when changing the institutional structures of society. In the context of R&D projects, the Social Responsibility focus group is concerned with such overarching themes as the moral division of labor in society and defining the roles of the third, public and corporate sectors. Furthermore, the focus group associates within the social and healthcare provision, the role of the citizens, and the intrinsic political implications that affect the entire ecosystem. Due to very relevant expertise in healthcare and business in 3UAS, the Social Responsibility focus group promotes social responsibility and addresses the potential societal impacts of a platform economy and the rapid digitalization of the workplace. In addition, the focus group enters into unraveling how the roles of public and private social and healthcare service providers and the role of the citizen are changing as a result of ICT and ICT services in Social and Health Services. Sari Sarlio-Siintola is the 3UAS R&D Excellence point of contact for the Social Responsibility focus group. 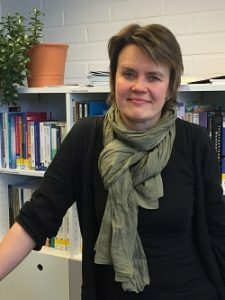 She is a senior lecturer and Project Researcher at Laurea University of Applied Sciences. Utilizing the strong partnerships between social service programs, healthcare programs, and third sector actors in the Helsinki-Uusimaa region, the Civic Activities focus group explores and implements ideas that serve to create supportive and inclusive communities. Besides, the focus group concentrates on a sense of belonging for everyone, and provides innovative strategies for all citizens to participate in society at local and national levels and to uphold their civic responsibilities. Additional areas of interest include research into concepts such as active citizenship, sharing/borrowing economies, as well as the role of local and global communities in modern society. The focus is also on mitigating the alienating effects of rapidly changing technology on society, while simultaneously working to take advantage of technology to create inclusive communities and to reach especially vulnerable populations, such as the elderly, troubled youth and excluded immigrants. Minttu Räty is the 3UAS R&D Excellence point of contact for the Civic Activities focus group. She is a senior lecturer at Laurea University of Applied Sciences. Efforts within the Security Environment focus group revolve around examining the nexus of internal and external security. The focus group enhances the overall security network of both Finland and the EU. Primary objectives include collaboration with authoritative agencies and other security-related entities, such as the police, border guards, coast guards, civil protection services, crisis management centers, counter-terrorism and crime prevention task forces, while working to enhance communication and information sharing between these authorities. The Security Environment focus group combines the collective strengths of the 3UAS R&D Excellence partnership to blend research, technology solutions, and business acumen together to not only strengthen overall security relationships among EU actors but to promote project funding and business growth opportunities locally and internationally. Päivi Mattila is the 3AMK R&D Excellence Point of Contact for the Security Environment focus group. 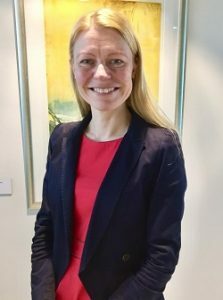 She is a Senior Research Manager with the RDI office at Laurea University of Applied Sciences and holds a Ph.D. of Philosophy in General History from the University of Turku. The Cybersecurity focus group themes include critical infrastructure protection and critical information infrastructure. Currently, there is a focus geared towards ensuring the protection of both patient privacy and the integrity of medical history data within hospital software suites and the technologies that involve these various e-health applications. In addition to these important initiatives, efforts are ongoing to improve cybersecurity elements within the cross-border security and public safety communications, as well as to increase awareness of basic cybersecurity practices throughout 3UAS and all project collaboration. 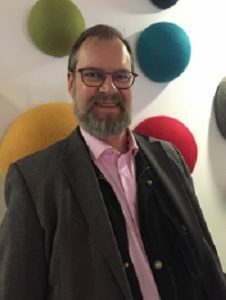 Jyri Rajamäki is the 3UAS R&D Excellence point of contact for the Cybersecurity focus group and an Adjunct Professor of Critical Infrastructures and Cyber Security at Laurea University of Applied Sciences. He holds a Doctor of Science degree in Electrical and Communication Technology from Aalto University and a Ph.D. of Philosophy from the University of Jyväskylä. The Culture and Experiences focus group endeavors are aimed at creating culturally related experiences that promote strong inclusive societies and business development within the EU. Using powerful mediums such as music, drama, games, and film, the arts community works with businesses or other groups in society to provide inspiration and to unlock the creative energy from which innovative ways of thinking, living, and working are born. Within the 3UAS collaboration, also the travel and tourism contexts are relevant. The Culture and Experiences focus group strives to address current needs of society as well as to enable co-production efforts that create inspiring, eye-catching, and trend-worthy business initiatives, and well-functioning, inclusive urban environments. Katri Halonen is the 3UAS R&D Excellence point of contact for the Culture and Experiences focus group. 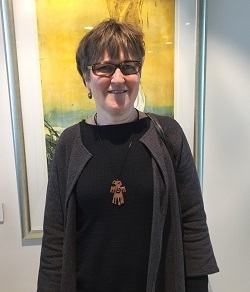 She is a principal lecturer in Arts Management at Metropolia University of Applied Sciences and holds a Ph.D. in Sociology from the University of Jyväskylä. The Entrepreneurship focus group is leveraging the strengths of the 3UAS collaboration to discover the needs of future workplace culture. As technology continues to rapidly evolve and drive enormous change in workplace culture, and as traditional business models and career paths no longer resemble those of the previous generation, there is an immediate need to understand where the development is heading. We see entrepreneurial competencies as critical assets to ensure success in future working life for everyone. The 3UAS collaboration supports students to understand entrepreneurship, to learn to become more entrepreneurial, and to learn to become an entrepreneur. Innovative ideas and a variety of methods, such as design thinking, are being used to engage students in development projects with partner companies during their studies. Encouraging students to work closely with not only large academic institutions globally but also with companies of various sizes helps them understand what skills will be required and what future business models might look like. Thus, the students learn to collaborate with companies more effectively during their studies. This collaboration enables the students to learn the skills relevant in their future careers. Hannele Mennala is the 3UAS R&D Excellence Point of Contact for the Entrepreneurship focus group. 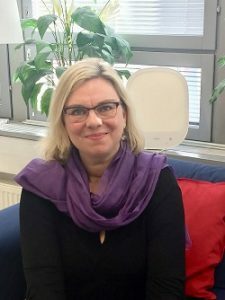 She is the head of Entrepreneurship core competence group and the head of StartUp School at Haaga-Helia University of Applied Sciences. Important themes pertaining to the Sustainable Food Systems focus group currently involve waste reduction throughout the lifecycle of food production, consumption and disposal. Industrial food waste and food packaging are particularly critical aspects of this theme, in addition to the related consumer behavior and health issues. Using the 3UAS R&D Excellence collaboration, the Sustainable Food Systems focus group aims at discovering innovative approaches to these modern challenges. The focus group also concentrates on promoting awareness via educational programs that positively impact the global mindset of the food sustainability lifecycle and on encouraging positive lifestyle changes regarding food waste and food-related purchasing habits. Specific areas for R&D relate to food packaging and suitability testing for different food products. Riitta Lehtinen is the 3UAS R&D Excellence point of contact for the Sustainable Food Systems focus group. She is a principal lecturer at Metropolia University of Applied Sciences. The concept of Healthy Building focuses on the themes of climate specialization and modification, heating ventilation and air conditioning (HVAC) services, construction techniques and building materials. The study of both positive and negative health effects concerning indoor air quality, acoustical performance and lighting are also instrumental to the advancement of the healthy building. The Healthy Building focus group discovers and implements strategies that promote awareness among end users and building occupants regarding healthy building initiatives and the associated long-term economic and environmental advantages. It is important to communicate to developers the risks associated with not investing in healthy building materials in favor of upfront financial savings. In addition, it is vital to consider life-cycle costs along with initial investments costs during the planning process, and to empower end users to have more control during the planning process that could elevate the quality and usability of future buildings. Jorma Säteri is the 3UAS R&D Excellence point of contact for the Healthy Building focus group. He is the head of the Real Estate and Building Services Department at Metropolia University of Applied Sciences. The Smart Mobility focus group gains its expertise and technical knowledge from experience with projects that explore the capabilities and limitations of the related technology. Currently, research efforts are focusing on further developing the ecosystem and infrastructure of the smart mobility industry. The fields related to this technologically driven change include autonomous buses, on-demand driving systems, mobility as a service, and autonomous driving. Going forward, smart mobility initiatives aim at more involvement in R&D activities, developing new technology and exploring the possibilities to incorporate other 3UAS R&D Excellence areas related to the field of smart mobility, such as health technology. Oscar Nissin is the 3UAS R&D Excellence point of contact for the Smart Mobility focus group. He is a project manager and engineer from Metropolia University of Applied Sciences. The Value Creative Sales focus group aims to create value and to increase overall customer satisfaction during the sales process, and to capitalize on established industry connections and ongoing research. The focus group acts in collaboration with multi-disciplinary teams, concentrating on investigating themes regarding the buyer/seller relationships, the role of emotional intelligence, customer acquisition and retention, creating knowledge for the customer, team working skills, and other social interaction skills vital to the sales experience. Areas of collaboration with 3UAS partners include exploring customer interaction methods, digitalization in sales and sales management, and creating value by using innovative technology. Timo Kaski is the 3UAS R&D Excellence point of contact for the Value Creative Sales focus group. 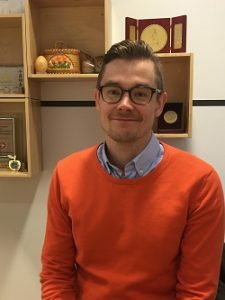 He is the Head of Research and Development in the Digital Economy Department at Haaga-Helia University of Applied Sciences and holds a Ph.D. in Industrial Management from Aalto University. The Digital Solutions focus group aims at developing digital services and solutions that exceed customer expectations and increase user satisfaction. In collaboration with companies, the focus group seeks out ways to break down barriers between technology experts and creative storytellers to improve the understanding of the needs and wants of customers and users. In practice, the goal is to build a common language between IT experts and content producers form various fields, to develop ethically sound data-driven approaches to business challenges, and to enhance human-to-human interaction with creative and user-friendly digital services. Future areas of research and development include trustworthy branding, data-driven services and content creation, omnichannel customer experience, digital storytelling, and the potential of virtual technologies in creating immersive customer experiences. Tanja Vesala-Varttala is the 3UAS R&D Excellence point of contact for the Digital Solutions focus group. 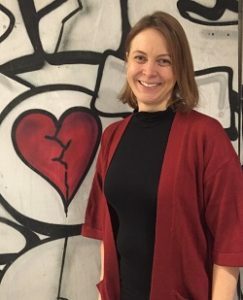 She is a principal lecturer of Marketing and Communication at Haaga-Helia University of Applied Sciences and holds a Ph.D. in Narrative Theory from the University of Tampere. 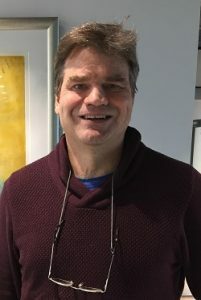 From a general artificial intelligence standpoint, the AI focus group is directing effort towards developing ambient intelligence driven devices and software applications that pertain to the gaming industry, health technology, media engineering, financial applications, transportation logistics, natural language processing, and the security industry, using deep learning and machine learning techniques. Capitalizing on the multi-disciplinary expertise of a 3UAS collaboration yields timely, focused, need-driven, and solution-oriented products with strong working relationships that promote future collaborative success. Aarne Klemetti is the 3UAS R&D Excellence point of contact for the Artificial Intelligence focus group. He is a researching lecturer at Metropolia University of Applied Sciences. The Leadership and Modern Work focus group deals with changes that have affected the landscape of the modern workplace and new means of leadership. Modern working trends, such as remote work and internationally displaced offices, require employer/employee trust and independent working competencies, such as self-management, social and emotional intelligence, as well as increased agency. Addressing these challenges of leadership development in today’s society is the goal of the Leadership and Modern Work focus group within this 3UAS R&D Excellence collaboration. Important to the Leadership and Modern focus group work is research that explores how digitalization and technological development relate to competence development, productivity and wellbeing in organisations. For instance, giving employees more freedom and authority results in higher productivity levels and promotes creativity and innovation in the workplace. The aim is also to explore what younger generations, on the one hand, and aging employees, on the other, require from leadership in modern workplaces. Kitte Marttinen is the 3UAS R&D Excellence point of contact for the Leadership and Modern Work focus group. 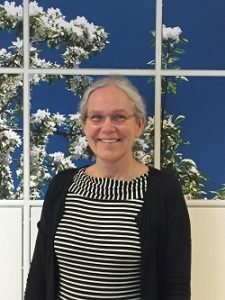 She is the development manager and head of the Research and Development Support Services Team at Haaga-Helia University of Applied Sciences. Areas within the Pedagogy focus group and the 3UAS collaboration include building on themes such as collaboration between academic institutions and employers to integrate the workplace and continuing education, human rights and equality in learning and inclusive pedagogy. Interests move away from traditionally rigid models of teaching with predetermined timetables and lesson plans towards an interactive learning process that encourages student input and is responsive to student feedback. The collaboration also focuses on a continued effort to develop innovative e-learning applications and other teaching tools that incorporate emerging digital technology. 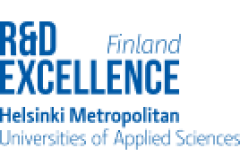 Sampo Mielityinen is the 3UAS R&D Excellence point of contact for the Pedagogy focus group. 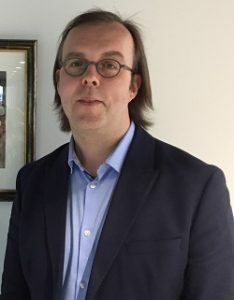 He is a senior lecturer in Vocational Teacher Education at Haaga-Helia University of Applied Sciences and holds a Ph.D. in Law from the University of Helsinki. With a focus on service design, general service development and marketing, the Business Design and Development focus group encompasses a wide range of business development possibilities. The 3UAS collaboration includes creating an interactive service environment, an effort to apply big data analytics to service interaction, and working with smaller e-commerce companies to grow their operations internationally. Marko Mäki is the 3UAS R&D Excellence point of contact for the Business Design and Development focus group. He is a principal lecturer at Haaga-Helia University of Applied Sciences. Co-creation is a method or process of developing or researching chosen topics of interest and can applied to any 3UAS R&D Excellence focus area topic. 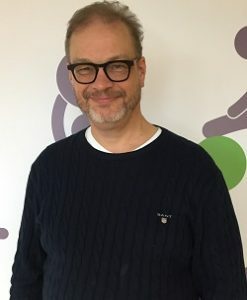 Teemu Santonen is a principal lecturer working in the Research and Development Department at Laurea University of Applied Sciences. 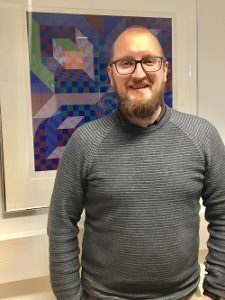 He holds a Ph.D. of Science in Information Systems, and Economics from Aalto University and is the 3UAS R&D Excellence point of contact for the Co-Creation focus group.